If this is your first time studying Reiki, you will begin with the Usui Holy Fire II Reiki training. This will take you through Levels 1, 2, 3 – Master/Teacher. If you are currently at a Reiki Master Level, then the Karuna Holy Fire II Reiki training will allow you to add this wonderful Reiki Style and upgrade your existing Usui Reiki Energy. Training tracks across the world will vary depending on the style and the teacher. The Holy Fire styles of Reiki have been developed by William Rand and his organization. I have studied and practice this style Reiki and find the energy to extremely powerful, yet so very gentle. An amazing experience each time you work with the energy. As a result, I follow the course requirements outlined by William Rand and add some additional components that I have learned over the course working with Reiki. Distance Reiki allows for energy to be directed across space and time. Distance Reiki imparts the same energies present during a physical session. The Reiki Energy can be scheduled in advance of surgery or other medical treatments to allow for the energy to arrive at just the right time to support you, your loved ones, and the medical teams during and after a planned procedure. Because time is not a factor, this technique can be used to provide energy to any possible future or past event. The Reiki Energy can ease the impact that past events cause in your current life. This is a very advanced topic that has powerful implications. The ability to ease current life situations by working on past traumas is truly amazing. Distance Reiki is offered in 30 minute increments covering any date/time period or specific event requested. Due to the nature of Distance Reiki, a 30 minute session can provide Reiki Energy to a specific procedure, event, or date/time that will cover the entirety of the event. At the moment requested, Reiki Energy will flow into the date/time period or the specific event. See the scheduler/calendar page to arrange a session. Discounts are offered for multi-session purchases. Central Texas Reiki offers individual Reiki Sessions in Buda, Texas. The session is performed as either a sitting session or as a massage table session. Understand that physical touch is not required for Reiki Energy to flow, but if you are comfortable, a very light touch often adds to the deep relaxation. See the scheduler/calendar page to arrange a session. Discounts are offered for multi-session purchases. Sessions run at a minimum of 90 minutes and can go up to 120 minutes, depending on the needs of the client. Individual Reiki Sessions – $80 per 1.5 hour session, or purchase a 5-Session Package for $350. 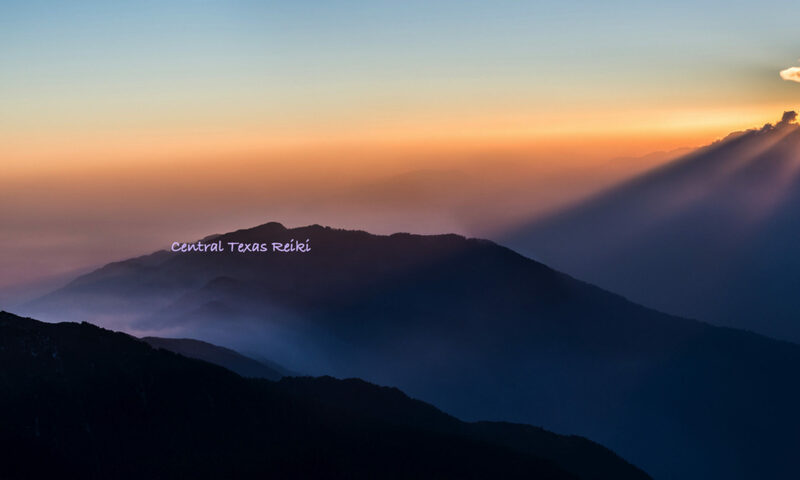 Central Texas Reiki offers On-Site Reiki Sessions to individuals living within 100 miles of Buda, Texas. We offer a daily rate for On-Site office, events, group, or parties. To maximize the number of individuals experiencing and enjoying Reiki Energy, each individual session runs approximately 20 minutes. Depending on the number of people at the event, the individual time can be adjusted as needed, with a suggested minimum time is no less than 15 minutes per person. Typical sessions run in four-hour blocks, with a 20-minute break at approximately the mid-point. For businesses, these On-Site Visits are a wonderful way of giving to your employees after a successful quarter. You can schedule Full Day and Half Day visits with flexible time slots to suit your organization’s needs. Central Texas Reiki offers Level-1 and 2 Training Sessions with follow-up Level-3 Training. Sessions can be scheduled for individuals or groups. Check our calendar to see when the next group class is available. No prerequisites are required to begin Level-1 training. If you have had previous Reiki Training and you are interested in Holy Fire II Reiki, contact me to discuss the requirements. Central Texas Reiki offers Level-1 and 2 Training Sessions with follow-up Level-3 Training. Sessions can be scheduled for individuals or groups. Check our calendar to see when the next group class is available. Note: Holy Fire II Karuna Reiki has a prerequisite requirement that you must have obtained your Reiki ART or Master Teacher Reiki Training and have been practicing Reiki for at least six months. Please contact us to discuss these requirements. Reiki shares provide a way for Reiki Practitioners to come together and share with fellow light workers. The Reiki Share is free and open to all types of Reiki Modalities, allowing us to come together each month and practice giving Reiki Energy and receiving Reiki Energy from those in our Reiki Community. Check out our calendar for times and dates. Reiki Shares are conducted once a month in Buda, Texas. Share size is limited to six. There is no charge for attending a share. You will need to have at minimum Reiki Level-1 training. Shares are a great way to practice and and build confidence in your abilities, and meet fellow light workers trained in Reiki. Crystals and Crystal Grids are powerful tools that have many possible applications. During these training sessions, you will learn how to choose your crystals, word your requests, and activate your crystal grid. We also cover how to clean your crystals before and after each session. We will discuss and demonstrate how to incorporate crystals into your Reiki practice or just your everyday life. This is a fun training session that gets you on the path to working with crystals. The class runs three hours. In this course, you will explore using Pendulums and a variety of Dowsing Rods. We will discover how to use a pendulum. We will discuss effective ways to use your pendulum and dowsing rods. We will discuss subtle energy and thoughts behind how the pendulum and dowsing rods work. Gain a deeper understanding of what these amazing tools can be used for in both your Reiki practice and daily life. The training session runs for two hours and includes a pendulum with the price or the class. In the Level-3 Reiki Training classes, we cover some of the basics of building a successful Reiki practice. In this standalone course, we dig deeper in the ways to establish your Reiki Practice. We discuss the how money plays a role in your practice. We discuss why it is critical to change you attitude about charging for your services. This is a two hour class. Whether you are an experienced Meditator, or completely new to Meditation, this monthly session is for you. During this session, we will choose a specific meditation, usually from the ones you learn as a Reiki Practitioner, but not always. 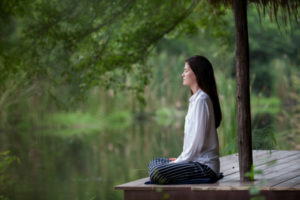 We will examine the meditation to gain a better understanding of it and the technique. We will then perform the meditation as a group. Once complete, we will share our experiences and evaluate the meditation. Time permitting, we will take turns leading the group in a quick meditation. Similar to the Reiki Share, this Monthly Session is open to everyone. The class size is limited to 10, so book your visit early. I accept PayPal for all purchases. I also accept payment with Master Card, Visa or if you would prefer to pay cash, and receive a 5% discount, contact: CTReikiRob@gmail.com for more information.